It’s true. 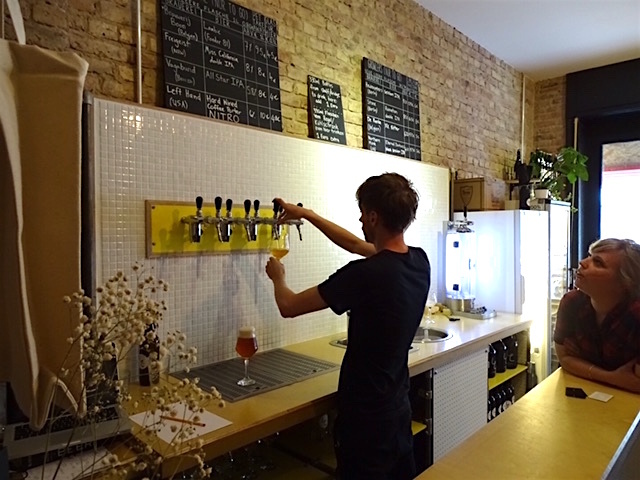 The craft beer scene is as vibrant as ever in Berlin. 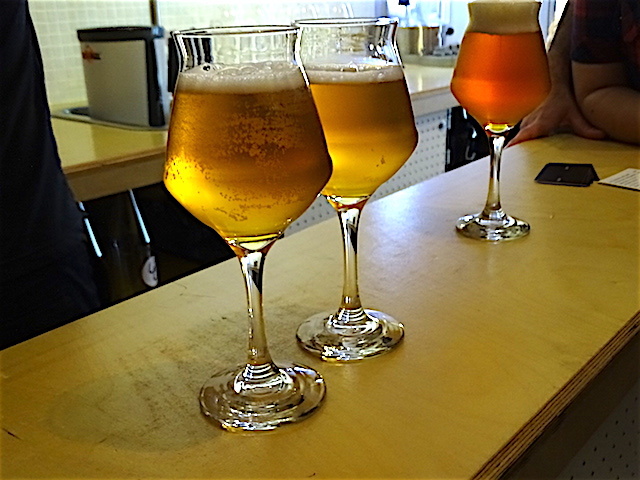 Because of that we have experienced an amazing number of new craft beer bars opening around town. LAGER LAGER CRAFT BEER is a bit different. And we like it! Lager Lager Craft Beer is located on Plügerstrasse, a quiet street in the very lively and diverse Neukölln neighborhood. To get here take the U-Bahn (U8) to Schönleinstrasse and walk for about 5-7 minutes. If you are feeling more romantic, take the route along Maybachufer (a cool canal that on Tuesdays and Fridays hosts the famous Turkish Market during the day). 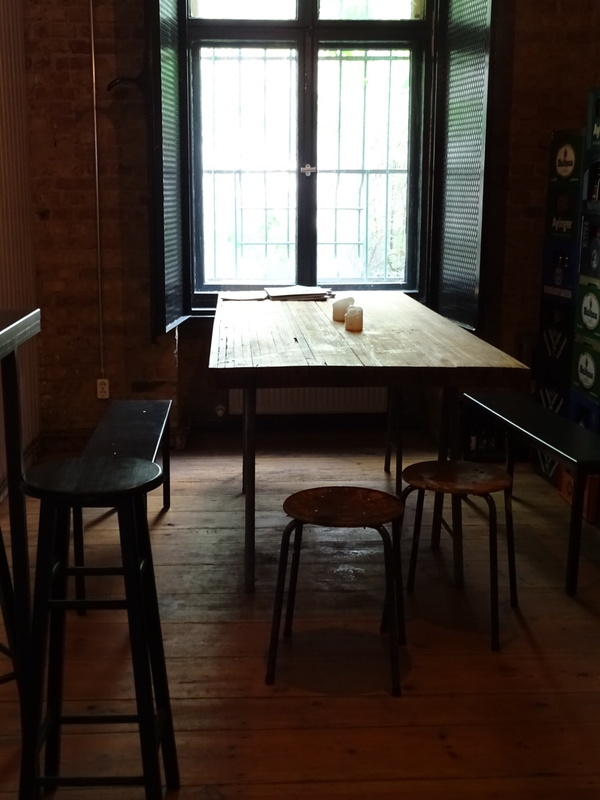 This cute little establishment doubles as a great craft beer shop and a bar. Well, they don’t call themselves a bar. Apparently it is a “tasting room”. We like to think of it as a bar. So there you have it. The truth is that they do use the area for frequent beer tastings, so technically they are right. They have a very solid selection of bottled craft beers and a few options on tap (about half from local brewers). Which you can “taste” as long as the shop stays open. 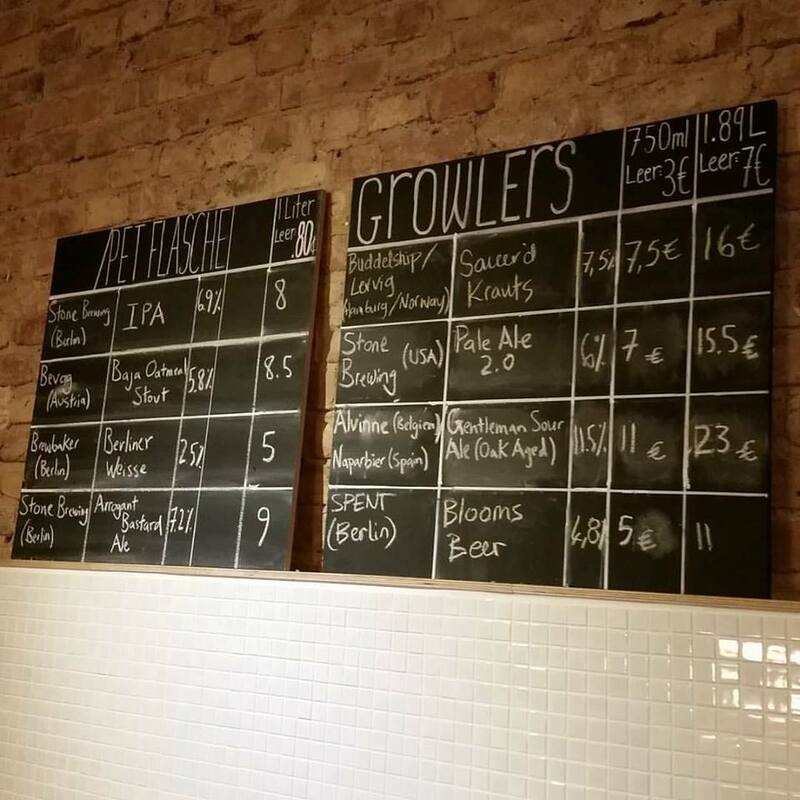 Additionally, the spot is the first in Berlin to offer “growlers” ( pressurized jugs of draft beer that stay fresh for up to six weeks). 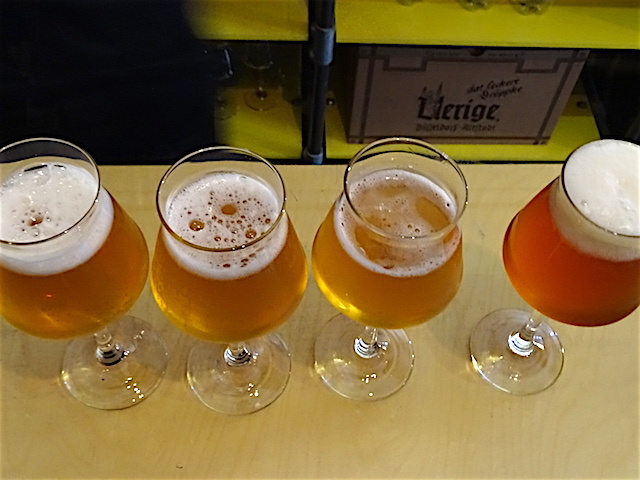 That means you can taste the beer, select what you like and take many jugs of draft beer home. And enjoy it as if you were at a cool craft beer bar. We prefer to go out and drink it on the streets/canals, though! The ambiance is casual and cozy. The crowd is very relaxed and non pretencious (as it is true for most places on this side of town). Service is friendly and attentive.